Thinking about applying for a car loan? You’ve come to the right place! 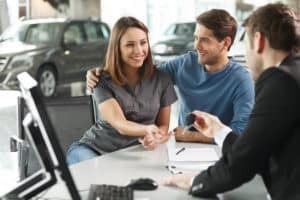 In this guide, we at Metro Volkswagen will walk you through every step of the car loan process, so you can find the best rate and the perfect vehicle for your needs. Shoppers in the areas of Irving, Grand Prairie, Grapevine, and Dallas should read ahead to get the ball rolling on finding their next car loan! 1. Put Together a Solid Budget. The first thing you need to do is determine your budget. Take a look at your current expenses and your monthly take-home pay to determine how much you can afford. As a general rule of thumb, you shouldn’t spend more than 20% of your monthly take-home pay on your payments towards your car loan. Don’t forget to save up for a 15% to 25% down payment. 2. Get Acquainted with Your Credit. After you put together your budget, it’s time to take a look at your credit score. First, get a free estimate through a website like Credit Karma. If your credit score is around 775 or higher, you don’t have anything to worry about. 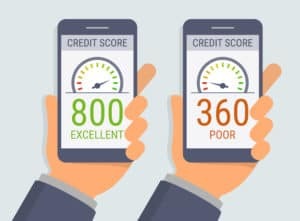 However, if it’s lower than it should be, request your full credit report to see how you can potentially increase your credit score before applying for a loan. Once you have your budget and your credit figured out, you’re ready to get pre-approved. You can get pre-approved at a variety of different places, including online, at a local bank or credit union, or even at a car dealership. This part of the process should be kept short, though—submit all of your pre-approval applications within a 14-day period to limit the number of hard inquiries made on your credit. 4. Choose the Vehicle You Want. After you have your financing secured, you’ll be ready to pick out your vehicle. Make a wish list for your next vehicle, starting with features and capabilities that you can’t live without, such as third-row seating or a certain towing capacity. Then, add features that you’d like to have if you can, such as a premium sound system, heated seats, or a panoramic sunroof. 5. Sit Down with a Finance Expert. The last thing you want to do is sit down with a finance professional at the dealership where you plan to get your next car. These finance experts are well-versed when it comes to financing vehicles and are the best resource for information and guidance throughout the payment process. 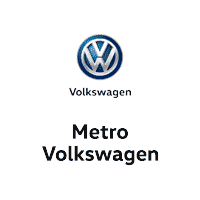 We at Metro Volkswagen are excited to provide shoppers with this helpful can loan guide. At our dealership, our friendly finance team can help you through the whole financing process. You can even get pre-approved for financing right on our website. Shoppers in Irving, Grand Prairie, Grapevine, and Dallas should give us a call today to schedule a time to come in to meet with our finance team!